How do you know it’s almost time for the next census? 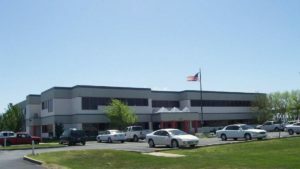 The U.S. Census Bureau has leased space at the 9229 Building at 9229 E. 37th St. The bureau has leased 9,350 square feet in advance of data collection for the 2020 Census, which starts next year. Also at the building, Fresenius Medical Care has taken 15,400 square feet of office and warehouse space that it will use as a distribution center. Ross Way of Anderson Management Co. says the 48,000-square-foot building has gone from zero to 80 percent occupancy in less than eight months. Anderson Management purchased the former CIBOR, or Center of Innovation for Biomaterials in Orthopaedic Research, building in September. It had been vacant for about seven years. Way says his company has renovated the entire building, including putting in new HVAC systems, a new roof, additional landscaping, paint and a new parking lot. The company also is redoing the building’s two-story atrium. There’s 10,325 square feet still available, which Way says can be divided from a minimum of 3,500 square feet to a maximum of the entire space.